New London post-punk band POZI have released details of debut album PZ1, released 5th April 2019 through Prah Recordings. Lead single and album opener “Watching You Suffer” – a short sharp shock at 1 min 47 seconds – is available to stream now alongside a music video. Pozi come steeped in the lineage of the very best weirdo British indie pop. The trio of drummer/vocalist Burroughs, violinist/vocalist Rosa Brook and bassist/vocalist Tom Jones have a skittish, restless energy. Despite drawing on influences such as Devo, Wire and Television, there are no guitars on PZ1 and the space afforded by the lack of this potentially domineering component is refreshing. Instead, there’s Brook’s violin that by turn swells and stresses, either buoying proceedings along or collapsing them into discord. Jones’ rough, scruffy basslines hold each song tightly together as all great bassists should do. Then there’s Burroughs’ sparsely-filled but frantically driven rhythmic repetition and his capital city yelp, words tumbling out as though desperately trying to get out of the way of the ones behind. In addition to poor mental health provision, lyrical subjects range from the Grenfell Tower tragedy of 2017 to Chinese human rights transgressions. Each are unpacked vividly. Burroughs is a colourful orator yet also direct and raw in his response to such sensitive issues. 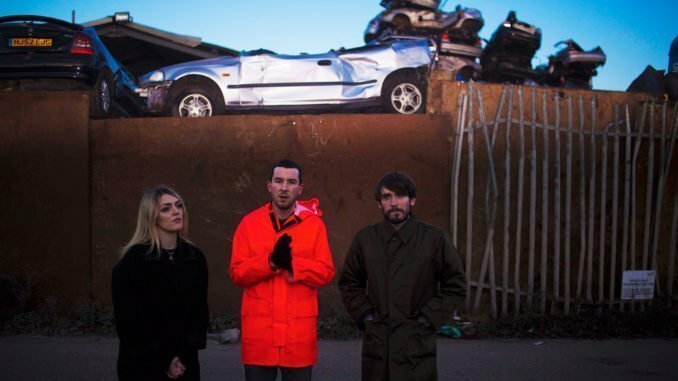 Although they share little in common musically, POZI unwittingly chime with current politicised UK indie acts du jour Idles and Sleaford Mods in distilling their anger into impactful mantra. POZI’s formation in 2018 was a typical tale of friends of friends discovering common bonds. Burroughs and Brook had both been in previous bands who drew from similar strands of noise-rock and post-punk; they came together over a shared love of PiL, among others. Brook is also a sound designer chiefly involved in theatre, while bassist Jones is a journalist and filmmaker.